Participate in the US Government Diversity Visa program now. What is the US GREEN CARD LOTTERY ? Each year, 50,000 immigrant visas (Green Cards) are awarded in a lottery held by the US Department of State. The green card lottery is an official program pursuant to Sec. 203 of the Immigration and Nationality Act. If you receive a Green Card through the program, you and your family will be able to live and work permanently in the United States. Your chance to LIVE, WORK & STUDY in USA. Double chance for married people to win the Green Card. The current lottery is the 2018 Green Card lottery. Please note that there is a difference between the name of the lottery and the year in which it is held. For example, the current lottery (2018) is called DV-2020. That is because the last date by which winners must receive their Green Cards is the end of Fiscal Year 2020. In the same way, the 2017 lottery was called DV-2019 and the 2019 lottery will be called DV-2021. The results of the 2017 Green Card Lottery (called DV-2019) were published on May 15, 2018. For insturctions on how to check if you are a winner, please log in to your account. Important: Winning notifications are NOT delivered by mail, email or phone. Beware of any communication you may receive telling you that you are a winner because it may be fraudulent. The ONLY way to check if you are a winner is by using your confirmation number online. If you were not selected, you can register now for the next lottery. There are no more paper entries. All petitions must be submitted to the State Department in an electronic format, using a dedicated green card lottery website. Use the USGCLS online registration to enter all of the required information and submit the necessary photographs (if you do not have digital photographs, you can send regular photos by mail). When your registration is complete, your application will be processed and submitted to the State Department. The US Green Card Lottery Program, also known as DV Lottery program, is a chance for people from all over the world to become permanent legal residents of the United States of America, meaning that they can live. work and study in the United States as any other US resident. The program grants 50,000 'Green Cards' EACH YEAR to potential immigrants who apply. Winners are chosen by a computer-generated random lottery. This program is an official State Department program, which grants 'Green Cards' to people who meet the simple, but strict, eligibility requirements. Applicants for Diversity Visas are chosen by a computer-generated random lottery drawing. The U.S. government makes available 50,000 permanent residence visas each year for the program. In order to be eligible for the program, individuals worldwide must fulfill the two basic entry requirements. In order for the draw to be as fair as possible, the visas are distributed among six geographic regions with a greater number of visas going to regions with lower rates of immigration. Furthermore, no visas are granted to natives of countries from which more than 50,000 natives immigrated to the U.S during the past five years. Within each region, natives of no one country can receive above seven percent of the total available Diversity Visas in any one year. Established by the 1996 Immigration Act in order to provide an immigration opportunity to natives from countries other than the main source of immigration to the U.S.A, the Diversity Immigrant Visa Lottery is an official U.S. government program. The program aims to diversify the American population by creating an immigration opportunity to under-represented ethnic groups. WHAT IS A GREEN CARD AND WHAT CAN I DO WITH IT? A Green Card is a permanent residence visa that allows a person to legally LIVE, WORK AND STUDY permanently in the United States. It also allows that person to enter and leave the country freely, as any other United States citizen. In fact, Green Card holders can even work in any government, public and private job that is available. In most cases, a permanent residence visa is good for life. Green Card holders are also eligible to receive health, education, retirement, taxation, social security and other social benefits. It is important to note that the Green Card DOES NOT affect your current citizenship and it is possible to hold a Green Card along with other citizenship documents of your home country. 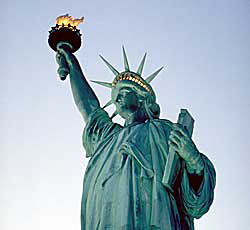 After receiving a Green Card, its holder can apply for United States Citizenship. The 2018 Green Card Lottery ended on Tuesdaay, November 6, 2018 at 12:00 noon, Eastern Standard Time (EST). If you missed the deadline, you can Register Now for the 2019 lottery. The deadline for the 2018 Green Card Lottery is Tuesday, November 6, 2018 at 12:00 noon, Eastern Daylight Time. Applicants are urged to begin the registration process as soon as possible and not to wait until the last moment. Each year many prospective applicants do not complete their application in time and miss the deadline. Register Now for the 2018 lottery. The 2017 Green Card Lottery (called DV-2019) results have been released. You can find out more information on how to check if you are a winner by logging in to your account. Applicants are reminded that winning notifications are NOT provided by mail, email or phone. Beware of any communication telling you that you are a winner as it may be fraudulent. The ONLY way to check if you are a winner is by yourself online using your confirmation number. If you were not selected, you can Register Now for the next lottery. The 2017 Green Card Lottery ended on Wednesday, November 22, 2017 at 12:00 noon, Eastern Standard Time (EST). If you missed the deadline, you can Register Now for the 2018 lottery. All 2017 entries that were submitted before October 18 have been cancelled and will need to be resubmitted. If you have not registered yet you can Register Now for the 2018 lottery. The 2016 Green Card Lottery results (called DV-2018 have been released. You can find out more information on how to check if you are a winner by logging in to your account. Applicants are reminded that winning notifications are NOT provided by mail, email or phone. Beware of any communication telling you that you are a winner as it may be fraudulent. The ONLY way to check if you are a winner is by yourself online using your confirmation number. If you were not selected, you can Register Now for the next lottery. The 2016 Green Card Lottery ended on Monday, November 7, 2016 at 12:00 noon, Eastern Standard Time (EST). If you missed the deadline, you can Register Now for the 2018 lottery. Important notice regarding your photos: You must submit a recent photo taken in the last six months. You cannot submit the same photo from last year's lottery. If you submit the same photo your application will be disqualified. Register Now for the 2018 lottery. Sign up for free updates and information on the Diversity Visa Lottery Program.